Professor Ngũgĩ wa Thiong’o is one of the prominent Kikuyu authors. He has been at the forefront in the debate in Africa of what he rightly called the colonization of the mind that has resulted, among other things in the use of the English, French and other European languages in favor of indigenous African languages. He has to his credit a long list of books articles and lectures on the subject of language and literature, and its place in the restoration and revitalization of Africa, or what is referred to as African Renaissance. His novels and plays are among the finest in Africa and being Kikuyu are a wealth of information on Kikuyu culture and transformation. We betray the level of cultural slavery and depravity that we have descended into when we anxiously await his recognition by a Scandinavian Most Noble Committee. Nĩ ambe ahumbwo gĩthii na aitĩrĩrio maguta nĩ ithuĩ ene. Ngemi ciumaga na mũciĩ. Charity begins at home. Mũini wa Gĩcandĩ will return – that day. Ngũgĩ was born in 1938 in Limuru of Kiambu District. 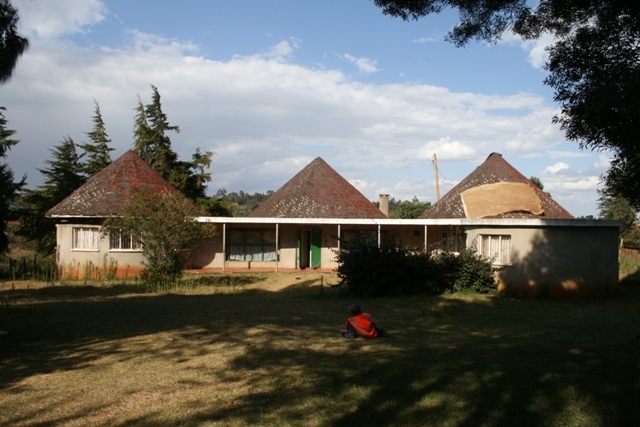 Because this area was near the edge of the Southern Kikuyu settlement and near the First British camp, Fort Smith, the area was the first to be settled by British settlers. 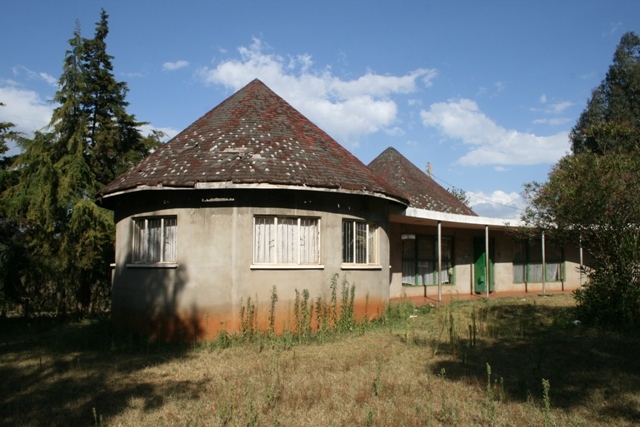 The Kenya of his birth and youth was a British settler colony (1895-1963). As an adolescent, he lived through the Mau-Mau War of Independence (1952-1962) Born of peasant farmers; he attended school in the mission school of Manguũ and later joined the Alliance High School and Makerere University where he studied English Literature. He went on to teach at the University of Nairobi and was instrumental in changes that saw the Department renamed from Department of English Literature to Department of Literature. Many of his writings are anchored on the transformational forces of the 3Cs, (Christianity, Civilization and Commerce) that have shaped the Kikuyu from the moment of their contact with the British to the present. 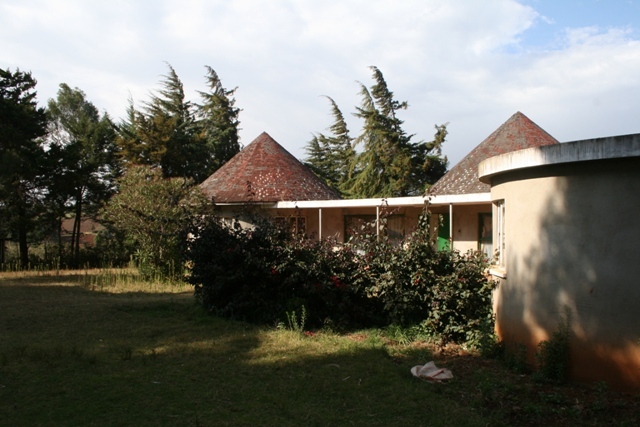 In 1977, together with villagers in his rural home near Limuru, he established the Kamirithũ Educational and Cultural Center, Limuru, an open air theatre, with actors from the workers and peasants of the village. Here, together with a colleague, Ngũgĩ wa Mirii, he wrote and directed a play, Ngahika Ndenda, ‘I Will Marry When I Want’. Buses of University students and villagers from far and wide came to watch the play. It was considered highly critical of the post colonial government’s handling of the repercussions of land consolidation as well as being seen as politically inflammatory and Ngũgĩ was arrested and detained for over a year in Kamiti Maximum Security Prison. The Educational Center was razed to the ground by Government security forces. He lost his teaching job at the University and after release went back to Kamirithu where he completed building a house and wrote, his prison memoirs, ‘Detained: A Writer’s Prison Diary’ and his Kikuyu classic novel Caitani Mũtharabai-ini, ‘Devil on the Cross’. The novel, which was read in Kikuyu rural homes around the fire like traditional storytelling, was a thinly veiled critique of Kenya’s elite and political class that thrives side by side with the slum and village peasantry. With rumors circulating that this time the government was out to eliminate him, he fled the country for Britain and later USA where he has been in self-exile since. 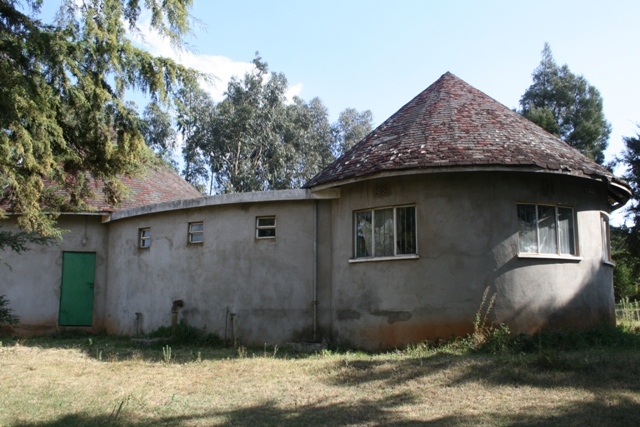 His house in Kamirithũ was designed by architect George Nyanja and was an attempt at a restatement of the Kikuyu traditional homestead in modern terms. The brief for the architect was challenging. In a nutshell, it was to accommodate a professor of literature who wanted the benefits of modern technology in a house that reflected his need of ‘moving the center’ from a Eurocentric to an Afro centric design that was in line with his ideology of ‘decolonizing the mind. In fact we can take that the inspiration for the house to have been a search for “a revitalization of Africa, while pursuing a renaissance of African architecture as a necessary step in the restoration of African wholeness” – to paraphrase the introduction to his book, ‘Something Torn and New: An African Renaissance’ by substituting literature with architecture. It was in short an attempt to cast his academic writings and rural activism literally in stone. There were two bedrooms, a sitting room, a dining room, a study, a kitchen and a store. Nyanja, who had been trained in the Department of Architecture at the University of Nairobi had never been confronted with such a problem before and in the architecture school had never studied Kikuyu, or Luo or Kamba architecture. He had spent most of his time in the school being indoctrinated with European architecture and European building technology and could tell you everything about a Gothic Cathedral, from the details of its cruciform plan, rose windows, to its interesting structure of flying buttresses. But he had never heard of the Kikuyu flying arched beam, mũikio, that was an integral part of the system of 8 rafters and 12 columns roof support. The sacred geometry that made the Kikuyu Nyũmba the central shrine for the individual man and family rituals was unknown as Western researchers and anthropologists had dismissed it as a mere primitive hut. The result was that while he was able to provide a cone roof with reinforced concrete finished with bituminous felt shingles, the inside was a flat concrete ceiling. The importance of the external space, Nja, as an organizing principle cried out for resolution. The fitting of modern ready-made furniture into circular forms was also problematic and would have worked better if customized. Other than the idea of a cone roof and circular plan, there was little else that could be seen as a link to the past especially in the area of materials, technology and scale and meaning. All in all, the house was a statement of the noblest intention if not an architectural achievement. With Ngũgĩ forced to flee the country in 1982, the house was left under the care of his wife who died several years later. 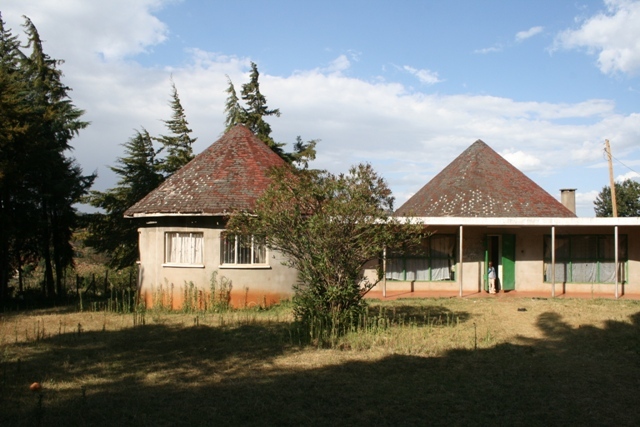 The house was then taken over by Ngũgĩ’s nephew for caretaking since an uninhabited house would just have gone to ruin very fast. The house still suffers from maintenance problems which would not be the case were Ngũgĩ inhabiting it. The caretaker nephew has an external kitchen which his wife uses and the professors’ old books and few items are locked in one of the rooms. He also has an external pit latrine although the western type WC and shower inside the house still works when there is water. Ngũgĩ is now able to visit Kenya with the new political dispensation, but is not able to go back to his old house but rather sleeps in a hotel. One of the reasons for this is security. The house is also not in a state that would accommodate him now. Sometimes there is no running water, the toilets are not very clean and so on. Another reason for staying away could be that since he is now remarried and is usually accompanied by his new wife, it would be culturally inappropriate to take her to sleep in his former wife’s house. From the foregoing it is apparent that there are clients anxious to build homes inspired by tradition and that architects trained in a heavily leaning western curriculum like the ones run by Kenyan universities are ill equipped to serve such clients. It would benefit the architectural profession in Kenya and Africa greatly if the training of professionals in our universities was more sensitive to African culture and history. Very informative. Just a thought though.I think is the hightime another Ngugi Wa Thiongo. Who understand the Kikuyu Architecture very well emerges and construct a real thingira as per our kikuyu culture.